I wanted to let everyone know about our upcoming webinar. 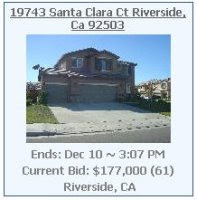 I will be showing how Realtors are using online bidding to get their listings sold. It will be held Thursday Dec. 11th at 1 pm CST. You can get more details at Show me more details. Don't let unsuccessful bidders get away! Are online real estate auctions exciting?